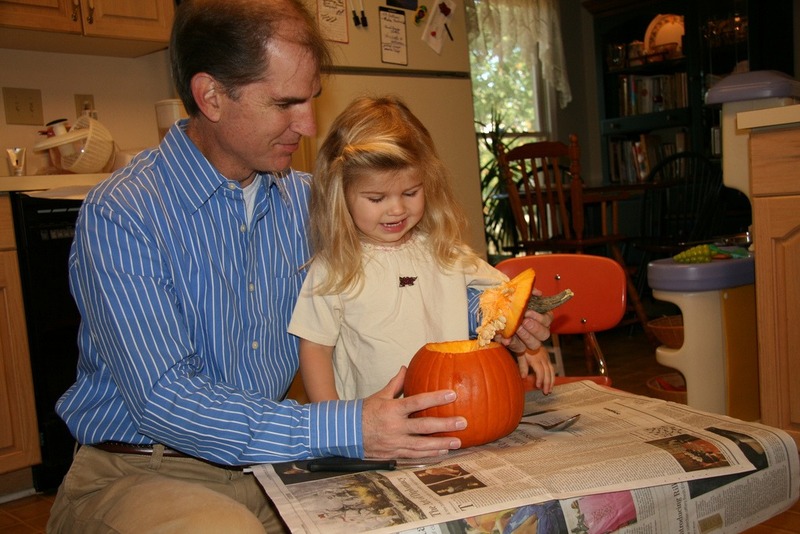 I think Katie Beth wanted so badly to help carve the pumpkin until she saw the insides of the pumpkin. We couldn’t get her to put her hand inside at all. 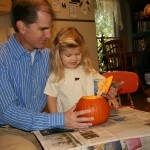 She did like the cutting and drawing part of making a jack-o-lantern. You can see more here. Remember, the username and password are "friends" and "photos".